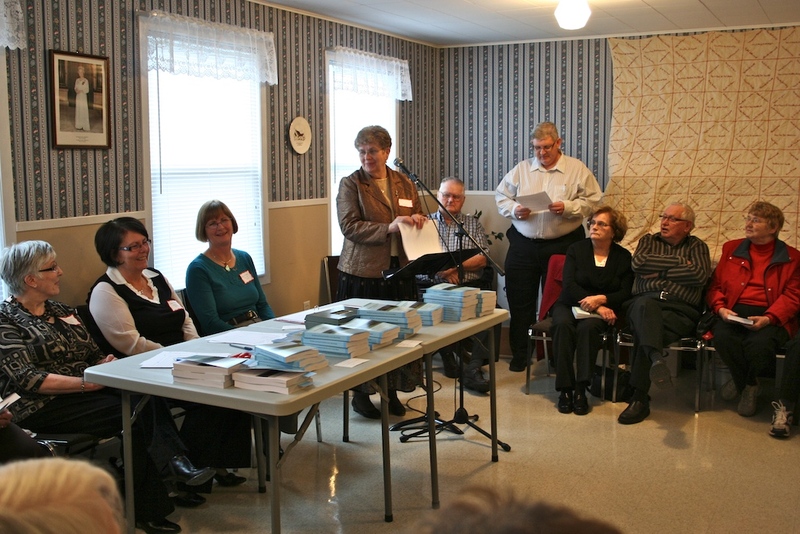 Emily Bryant recognizes those who contributed to the research and writing of the history at the Book Launch on November 21, 2009. History comes in all forms. And hanging high in the Riverview Community Centre in Clyde River are two historical remnants that are signs of former fundraising times. Not only do the two heritage quilts dating to 1904 and 1921 bear the hand-threaded signatures of people who paid 10 cents to have their names inscribed to raise money for a local church, they also bear testament to the families who have been the backbone of the community of Clyde River. “What’s really neat about it is the names are of people who keep appearing over and over in the Clyde River history book,” Emily Bryant says of a new community compilation, The History and Stories of Clyde River, Prince Edward Island.